Towcester have confirmed that they have been given the rights to stage the English Oaks. 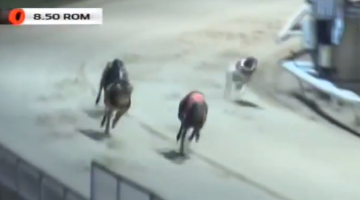 Clive Feltham’s GRA company will retain the St.Leger which will again be run at Perry Barr. One of the original eight classics, the Oaks was first staged at White City before finding its long term home at Harringay. When the North London venue closed, the GRA owned event went to Wimbledon before spending the last five years at Belle Vue. Clive Feltham said: “I have emailed Kevin Ackerman and confirmed that the Oaks is available to them. I think it will make a very suitable venue. It is rumoured that leading owner John Turner is a potential Oaks sponsor though it remains unclear how the two Category One events will be shoehorned into a rammed racing calendar that has already been truncated by the failed SKY negotiations and the World Cup. The 2017 GMG Oaks Final was staged on December 13. A repeat would see a partial clash with the Eclipse (final Nov 26), the Coral Essex Vase (final December 7) and the Coral Olympic (final December 27). The 2017 William Hill St.Leger was won by Rubys Rascal on November 8. The closest Category One staying event would be the Yorkshire St.Leger which is due to conclude on October 3.